You don’t have to be a BSU Bronco to get incredible guest attendance at your event! 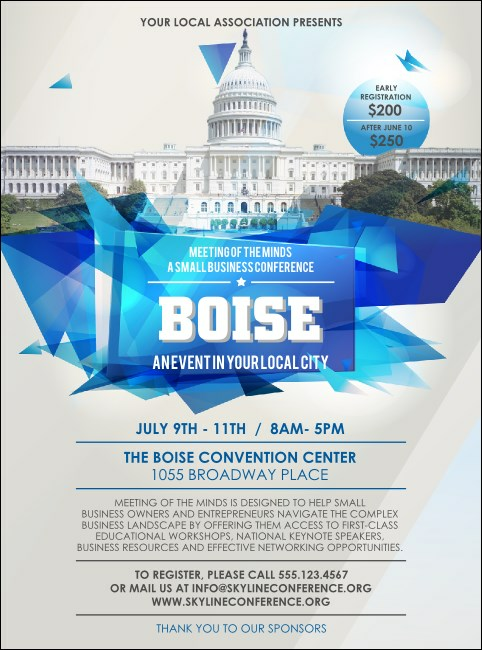 Print Boise Flyers and promote your next Pacific Northwest event in advance. These Flyers feature a white background with bright blue accents and a modern design, and each one comes with twenty-two lines of text for all your event details. Help your ticket sales scale the Boise Foothills at TicketPrinting.com.